A new social networking platform 'hello', set up by the founder of the once-popular Orkut, has announced its entry into the Indian market amid the controversy surrounding user data breach at Facebook. Hello has been set up by Orkut Buyukkokten, who was the founder of Orkut that once was a leading social networking site in India and Brazil. Interestingly, Orkut shut down its services in 2014, having lost its sheen to rivals like Facebook. "If you look at social media today, it has isolated people instead of bringing them closer. It has become more about broadcasting than sharing. We need a fresh start. 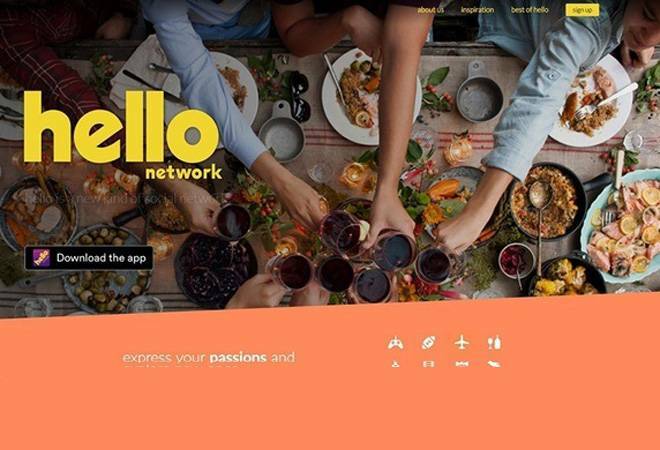 Hello is built around interest-based communities where users with same interests can connect, leading to true connections," Buyukkokten said. He added that with hello, the aim is to create positive, meaningful, authentic connections and sustained social engagement. "We started in Brazil in July 2016. About 35,000 users were a part of our beta testing in the Indian market. Orkut was huge in India and I'm delighted to say hello to India once again," he said. The hello app is available for download on App Store and Google Play. Asked about the monetisation model, Buyukkokten said the company "does not have to sell user data to get revenues". "When a user signs up, they are asked about five things that they are passionate about and then get recommendations that are non-intrusive. We also ensure that every advertiser has a profile on hello (for greater accountability)," he said adding that no user information is shared with third-party apps. After India, the company would look at rolling out its service in its home market the US as well as in countries like France and Germany. Social networking giant Facebook, which has over 20 crore users in India, had admitted that nearly 5.62 lakh people in the country were "potentially affected" by its global data breach involving Cambridge Analytica. The data mining firm has been accused of harvesting personal information of over millions of Facebook users illegally to influence polls in several countries. Facebook CEO Mark Zuckerberg has said his organisation was committed to ensuring integrity of elections across the world, including India, as he testified before the US Congress yesterday. Facebook's data breach scandal had also sparked a furore in India, with IT Minister Ravi Shankar Prasad last month warning the firm of "stringent" action for any attempt to influence polls through data theft. He also threatened to summon Zuckerberg, if needed.